As an employee of a company, a work personnel file may be kept which includes things such as your resume, work reviews, conduct record and more. As an employee, do you have a right to see what is contained with in your personnel file at work? Is there a right of review? Depending upon the state within which a person works, the law may provide current and former employees he right to see their work personnel file, such as records maintained by a corporate human resources department. Even if state law does not provide a mandatory requirement that provides an employee access to their work personnel file, some employers have policies in place which provides employees the right of review. It is important to review your company’s employee handbook, if one exists. Other assistance in determining your rights to see your personnel file may come from your state’s labor department, who frequently advise employees and point them towards state laws that may allow an employee right of review. Note that even if an employee has a legal right of review, not all items are required to be disclosed which may include items such as reference letters, information which could violate privacy rights of third parties and any information compiled for a criminal investigation. You need to make wish to ensure that your personnel file is current and up to date after a major life change such as a marriage, divorce, birth of a child or if you have moved to a new home. Correct and accurate information should also include your name, next of kin and whom to contact in the event of an emergency. If you are planning on leaving your job, you may wish to ensure that your salary and position are up to date so that there are no surprises when information may be provided to a new employer. It is also a advisable to check that there is nothing in your file which could affect your chances of employment elsewhere, and if so, you will want to determine how to best handle the situation and information in the file. If you are hoping to apply for a job transfer or promotion, there will likely be a review of your personnel file by the person making such a decision. It would be wise to make sure that the information is correct and up to date. If you find any information in your file that is in any way negative, you should try and sort this out with the right person. If there are recommendations and commendations that are not recorded, you will likely want to make sure those are included in your file before review. If you are worried that you may fired from your job, especially if “for cause” or wrongfully, you would likely want to review your file before this occurs. Make sure that your file contains all the positive information that it should. You should also take care to note if there is any negative information in the file of which you were not aware and you should take notes about this information for use in your case. 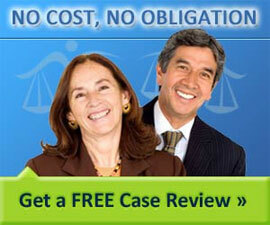 What you need to do with regard to your review of your personnel file depends upon the reason for your review. If you are doing a routine case of updating information then you only need to make a note or list of the items that need to be changed and speak to the person responsible for making those changes. You can check the file again later to make sure that the changes have been made. It is a good idea to write down every document contained in your work file along with the date, the name of the person who composed the document and the contents of the document. Your list will be proof of what was contained within the file should the employer try to alter anything at a later date. You may have the right to copy documents in your file and, if you do, then this is certainly worthwhile doing. The law may only give you permission to copy certain documents such as the ones that were signed by you. Even if you find that the employer will insist that they make the copies, it is worth having them done. Should you come across information which is negative in nature, you may be able to place a rebuttal in your file. Whether or not this happens may be determined by state law or company policy. Even if you do not have this right, you can still follow up with the appropriate person. Make sure you write down everything about the negative information in case as it may be used against you by your employer. If you feel that your case file may have negative information that may be used against you to fire you, it is advisable to speak to an experienced employment and labor attorney. A labor lawyer can review your case and give you specific instructions and advice to follow when reviewing your personnel file at work.